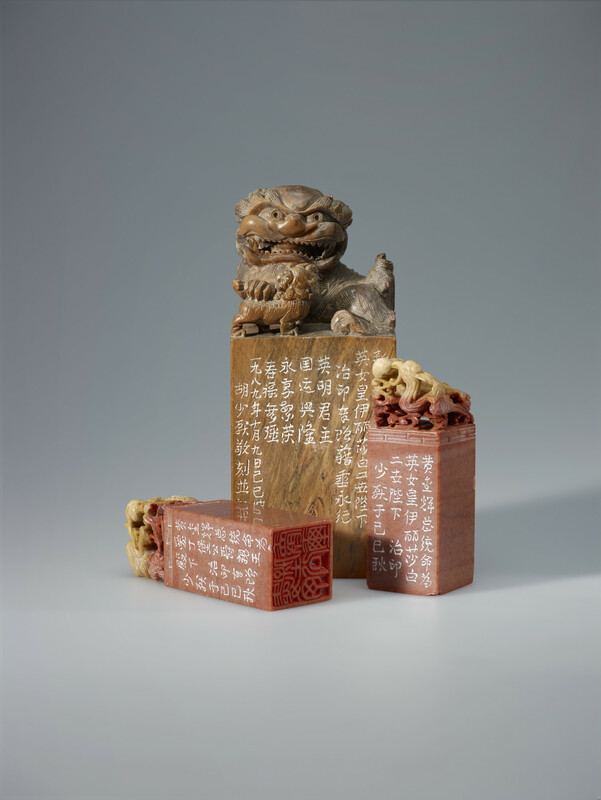 A set of three marble seals (one large and two small) of upright rectangular shape, the larger crowned by a Chinese guardian lion, and the smaller pair with dragons, in a red plush box. Large seal fits in a loose perspex cover which rests on a square plinth with moulded cornice and base. The two small seals are personal, one for Queen Elizabeth II, the other for Prince Philip, Duke of Edinburgh. The larger seal is for the Head of State.